Positive Psychology PPT: Steal These 5 PowerPoints Presentations! Home » Positive Education » Positive Psychology PPT: Steal These 5 PowerPoint Presentations! Positive psychology is a young branch of psychology that studies and builds the factors that lead to meaningful and joyful lives. Since its early days in 1998, the amount of research into positive psychology has rapidly grown, as well as its practical applications. However the task of finding the right information can be overwhelming. 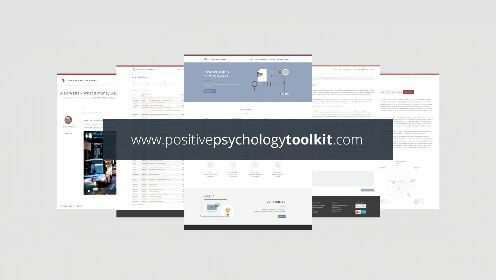 That’s why we created a list of the best positive psychology PowerPoints we could find. Enjoy! Dr. Jo Mitchell is a clinical psychologist with an expertise in wellbeing. This presentation is a great place to start. In it you can find the PERMA model of wellbeing, value congruence, self-compassion, active constructive communication and much more. Miriam Akhtar is one of the first and leading positive psychology practitioners. This PowerPoint is definitely one of our favourites. 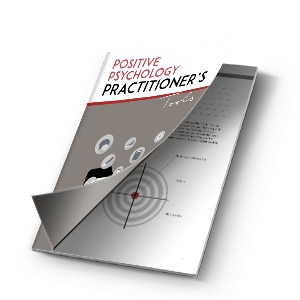 In it you’ll find information about positive emotions and positive psychology coaching. Lisa Sansom is a corporate trainer and speaker. She’s on the board of the Canadian Positive Psychology Association and President of the MAPP alumni Association at the University of Pennsylvania. If you want to dive a little bit deeper, this PowerPoint is a great tool. Lisa covers positive emotions, flow, meaning, strengths, grit and resilience to mention a few. Ryan Niemiec is a psychologist, coach and author. He’s the Education Director of the VIA Institute on Character Strengths. His presentation covers mindfulness and character strengths as pathways to flourishing. Robert Emmons is the world’s leading scientific expert on gratitude. He is an author, professor of psychology and founding editor-in-chief of The Journal of Positive Psychology. If you need some help in developing gratitude, check out his presentation (which does not work a mobile devices or tablets). Now we’d love to hear from you, which one of these presentations is your favourite? Leave a comment below! I cannot access the Sansom and Emmons PowerPoints. It is all the case that I cannot download Dr.Sansom’s symposium presentation from the Third World Congress on Positive Psychology, which occurred in Los Angeles, CA , in June of 2013. I would greatly appreciate it if you would email copies of these presentations to me at Link. Will you please send to my email address:[email protected] these 5 ppts on PP. Tnx a lot! I conduct leadership and culture development with clients in education, athletics, business and ministry. These are OUTSTANDING work products. Could you please send the actual ppt to me at the email below? I’m also the subscriber. Could you please send me the ppts as well? Nice ppt a really very good presentation, Thanks for sharing! you posted great definitely it will positivity and great aspects of our life and we learn some good and different aspects of life.sharing this ppt is great. Could you help me to download PowerPoint presentation? I’m also a subscriber, bought the toolkit, but can’t see a way to download the ppt’s. Can you assist, Catarina? Please could you email me these very useful PPTs? Although I am a subscriber to PPP – I am unable to access these (5) power points as advertised. How do I actually view these? Great resources! We thank God for this work.Could you help me with a link to download PowerPoint presentation to train pastors here in Kenya. Thank you Patrick 🙂 I have sent you an email! You can register at the VIA Institute and I believe they can/will allow you access to a print form of the survey. Awesome, thanks for clarifying that Bob! Lovely material. Extremely useful. One query, is there a possibility to print and use the Character Strengths survey offline – wish to use it in workshops with school students.